When a Mathematician from Ohio State University commissioned me to crochet a hyperbolic geometrical plane, I became fascinated with the connection between fibre arts and science. Although I’ve never been one to follow someone else’s pattern, I understood the relationship between fibre arts and the patterns in nature. Fractals (geometric patterns in nature) and hyperbolic planes (a surface in which the space curves away from itself at every point) can only be reproduced in nature, and knitting and crochet. That still blows my mind. My fibre animal research took me on a journey into the past where I learned traditional knitting and weaving techniques from around the world. My Celtic roots lent to my exploration and landed in Fair Isle, Scotland where I learned stranded knitting. Although there are standard designs used in Fair Isle knitting, there is still an element of freestyle that sparks my imagination of taking traditional methods into contemporary project. My experimental knitting with short rows grew into creating wave-knitting projects. The composition of direction and colour has knitted fabric resemble sea waves and landscape paintings. This technique progressed into my weaving. Weaving on handmade looms allows me to explore colour and direction in a similar method to my wave-knitting technique. While weaving on my rigid heddle loom is fairly close to traditional fabric weaving, I add a contemporary twist by spinning my own art yarn from a variety of materials. I use ancient drop spindles and my spinning wheel to create thin weaving yarns to beehive and coil art yarns. I appreciate every aspect of fibre arts. 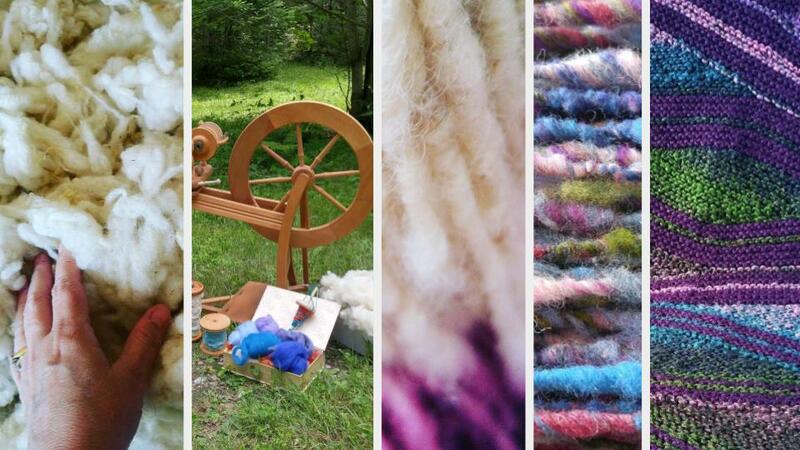 I source raw sheep’s fleece from Ontario farmers, clean, card, dye, and spin the wool for many of my projects. Forever an environmentalist, I also source a variety of reclaimed materials and see where they take me. The influence of nature and history are the foundation of my art. Nature and history guide me to creating yarn from scratch, traditional fibre arts, and experimental contemporary techniques.